We are Completely Free. Women Artists and Surrealism presents the work of a group of women artists who, from the 1920s onwards, became involved to a greater or lesser degree in Surrealism, a movement historically associated with men. 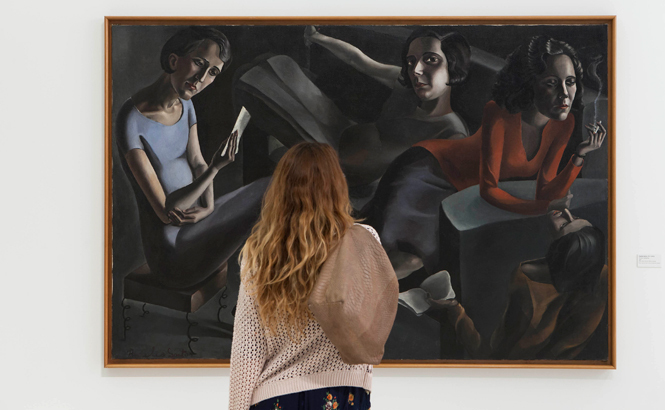 Museo Picasso Málaga has brought together for the occasion works by eighteen spirited and rebellious female artists who were, in several cases, overshadowed by their male partners. The exhibition aims to give back the focus they deserve to a group of women artists whose work stood out on the Surrealist landscape and some of whom have perhaps had to wait too long to gain major international recognition: Eileen Agar, Claude Cahun, Leonora Carrington, Germaine Dulac, Leonor Fini, Valentine Hugo, Frida Kahlo, Dora Maar, Maruja Mallo, Lee Miller, Nadja, Meret Oppenheim, Kay Sage, Ángeles Santos, Dorothea Tanning Toyen, Remedios Varo and Unica Zürn. 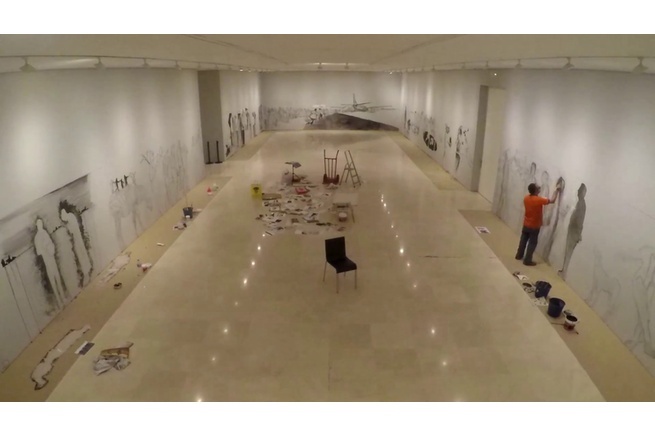 The exhibition curator, José Jiménez, professor of aesthetics and art theory at the Universidad Autónoma de Madrid, tells us that the choice of artists “is not a separatist option, but rather a recovery task” and also that “it is not a closed list; it is open to new considerations and inclusions. The selection is aimed at giving consistency to the construction of the exhibition narrative, with the focus on the artistic quality of the works and on the fact that these women exercised active independence as creative, thinking beings, in a quest for complete freedom”. Their individuality and personality is conveyed in the more than 124 works brought together for the show, which include paintings, drawings, sculptures, collages, photographs and films. Art history has been biased in favour of the male artist, and women artists have been systematically excluded from the main Western art movements. Women have been considered, first and foremost, as sources of inspiration and only secondarily as creative artists. Their works, generally overshadowed by that of their male colleagues, have often been associated with domestic life, and were undervalued. Officially founded in 1924, when André Breton penned the First Surrealist Manifesto, the artistic output of the Surrealist movement was primarily literary and visual. Mainly developed in Paris, it soon spread to other countries such as Spain, Belgium, Switzerland, the United Kingdom, Mexico and the USA. The Manifesto defined Surrealism as: “Pure psychic automatism, by which it is intended to express either verbally, in writing, or by any other means, the true functioning of thought. It is dictated by thought alone, in the absence of all control exerted by reason, and outside any aesthetic or moral preoccupations”. It was an influential, transgressive and anti-academic ideology which, while supporting women’s equality and their artistic options, considered them more as an artistic object than a creative subject. Surrealist artists saw women on an idealistic, passive level, as an eternal woman-child, a muse, an object of sexual desire; an enigma that had to be deciphered to suit their own imagination and desires. But the movement also featured important female proponents who deserve to be valued and remembered, as they played a large but underacknowledged part in it. It is only recently that these women’s work has started to be regarded with the same attention and respect as that of their male colleagues. Although male Surrealist artists explored the unconscious through dreams, automatism and induced trances, their artworks did not necessarily express their own personal experience. For the women, however, Surrealism was a way to develop their self-awareness, to explore their deepest thoughts and feelings and to construct their own identity by depicting past and present experiences, fears, hopes and desires. Unlike their male counterparts, these female artists delved into the unconscious as a means of gaining self-knowledge, in a way that was more introspective than playful: it was the tool they employed to explore their womanhood vis-à -vis the world and to exorcise their demons. Several of them suffered from illnesses, tragic events and abuse during their lifetimes. At a time when psychoanalytical theories were widespread, their art visualised the female psyche as it had never been shown before, initiating a dialogue that was gradually to transform gender relations. Many of their works are therefore self-referential, and portraits feature prominently. They felt the need to represent themselves in order to express who they were and what they felt. It could be said that the Surrealism produced by these artists was in fact their own inner realism, and they expressed it in a wide variety of techniques. To women, Surrealism was the most appealing of the avant-garde movements, as it was refreshing and provocative and it demanded total freedom for human beings. It was art that ascribed importance to personal reality and which fostered the union of eroticism and poetic emotion as a means of expression, encouraging duality and ambiguity in response to the dictates of reason. This process of liberation was painful and dramatic, and it occasionally led to tragic ends which, paradoxically, helped women to achieve artistic independence and throw off a yoke that was both theoretical and ideological. At some point in their career, all the artists whose work is shown in the exhibition turned up in 1920s Paris, where, in the intellectual circles of the inter-war period, there was little room for female artists with a voice of their own. 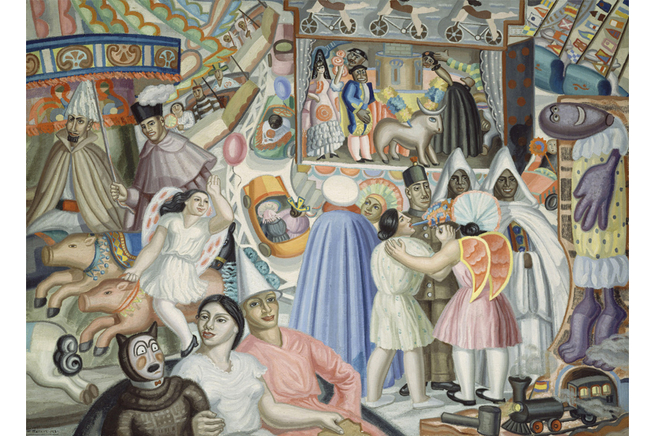 Therefore, when they crossed the Atlantic to the US and Mexico a decade later after the Second World War, it was there that they found liberation and revolution as Surrealists, far away from the orbit that had formed around Breton back in the City of Light. Exile provided many of these women with an environment of freedom they had not enjoyed in Europe and, thus, the chance to reinvent themselves as far as their independence and imagination was concerned. These women sought their identity and freedom through art and this, in a sense, led them to become revolutionaries who prepared the cultural arena necessary for the emergence of the future feminist movement, with art that challenged not only social and institutional conventions, but also the boundaries of gender. 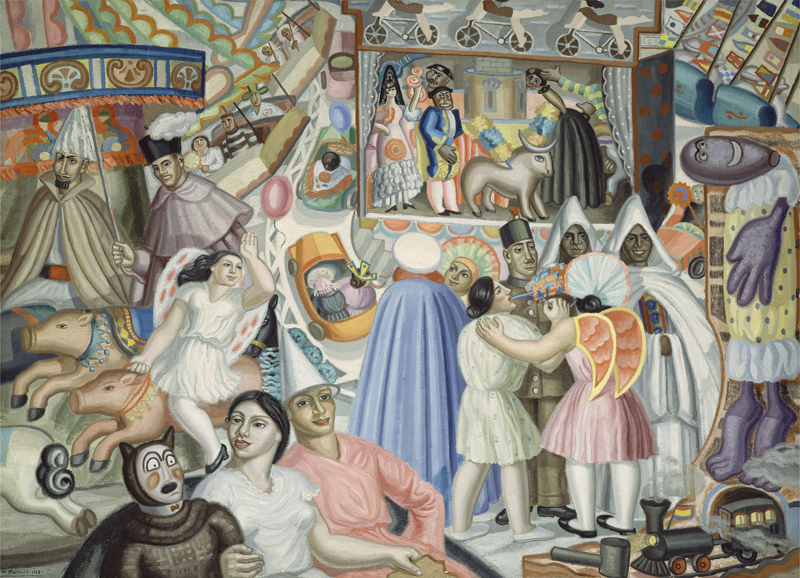 The works in this exhibition come from leading European institutions such as Moderna Museet, the Tate, Centre Pompidou, the Lee Miller Archives, and Museo Nacional Centro de Arte Reina Sofía, and from US museums such as Museo de Arte Moderno de México and Yale University Art Gallery, as well as from private collections. After Sophie Tauber-Arp. Avant-garde Pathways (October 2009 – January 2010), Hilma af Klint. Pioneer of Abstract (October 2013 - February 2014) and Louise Bourgeois. I have been to Hell and back (June - September 2015), Museo Picasso Málaga has once again set up an exhibition that showcases artworks by the women in art history. As usual, the exhibition will be accompanied by an associated programme of cultural activities, enabling visitors to discover the main artistic and historical features of the exhibition. How was this great mural of 68 linear meters made?